Name changed to Lubbock Army Airfield in 1943 and later Reese Air Force Base. 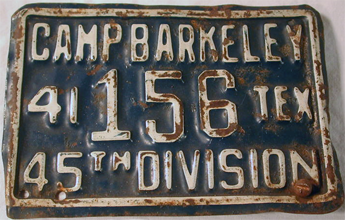 Base operated 1942-1945. Became Waco Municipal Airport in 1950. Operated 1917-1948, when it became Brooks AFB. Closed in 1995. Operated as Ellington Field from 1917-47 & Ellington AFB until 1976. Currently a public airport with military, NASA, and cargo flights. Operated 1941-47. Now Goodfellow AFB. Operated 1916-presnt. Named AFB in 1947. 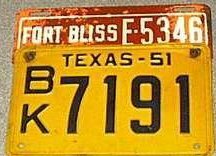 Base operated 1941-1948, then becoming Perrin Air Force Base until closing in 1970. Operated from 1930-48. Now Randolph AFB.